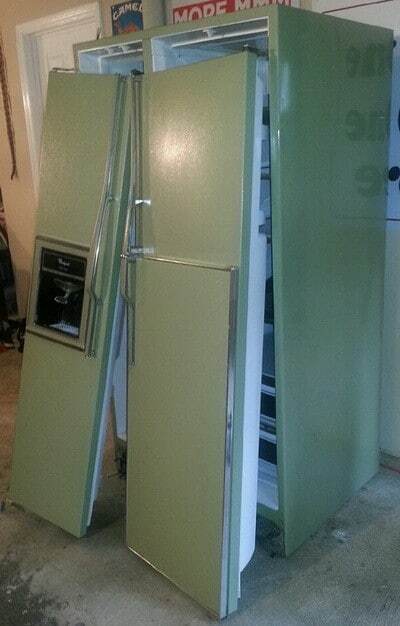 An older model refrigerator with a yellow or green finish can make your kitchen look dated and ugly. 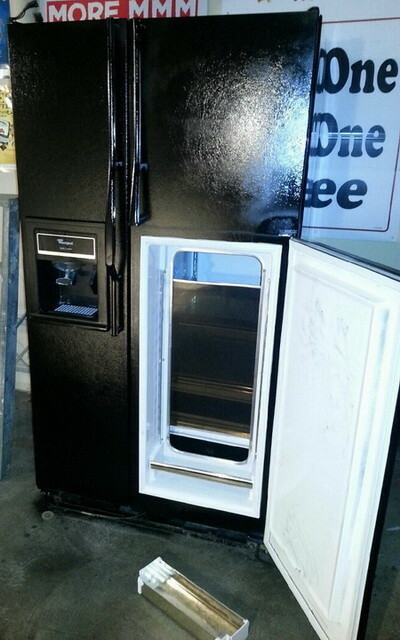 Why not repaint it with appliance paint for around $20 dollars? 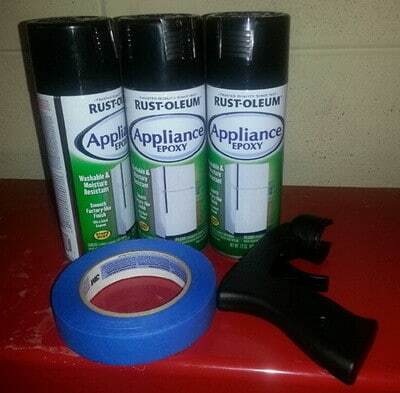 Appliance spray paint is available at any home improvement store and is relatively cheap. 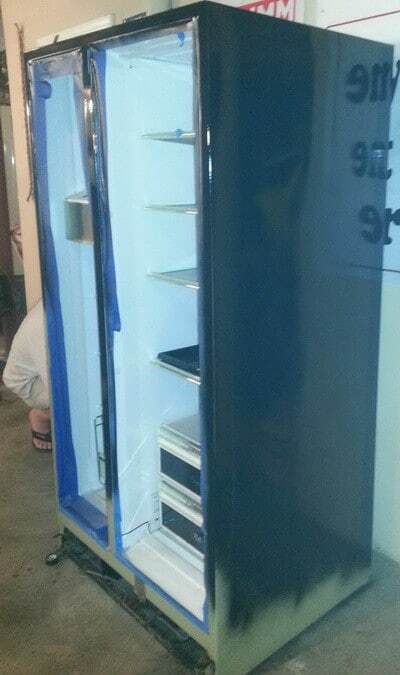 The most common colors for repainting a refrigerator is stainless steel, black, almond, and white. 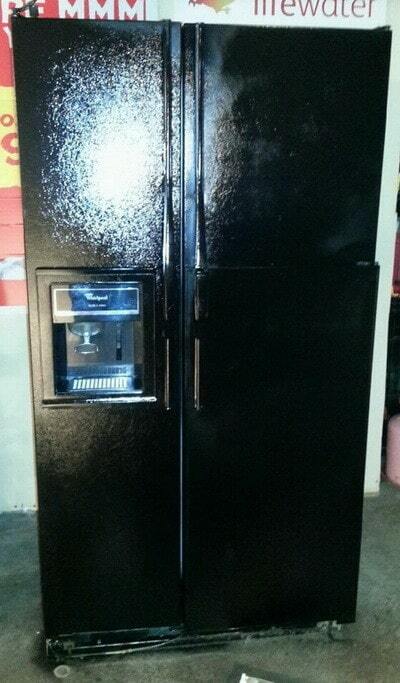 We repainted our old green side by side fridge black. It was an ugly green colored refrigerator that came with the house we just bought. A new refrigerator is near $800 dollars and we thought that was too much to pay. 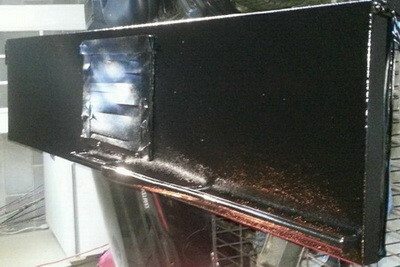 This DIY repainting project took 3 hours. 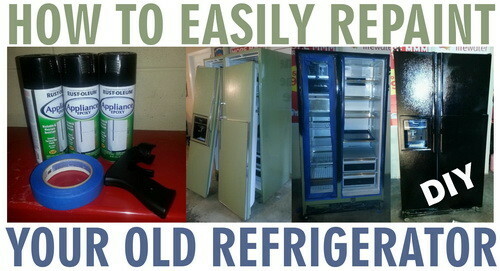 Your refrigerator repainting project may take more or less time depending on conditions. 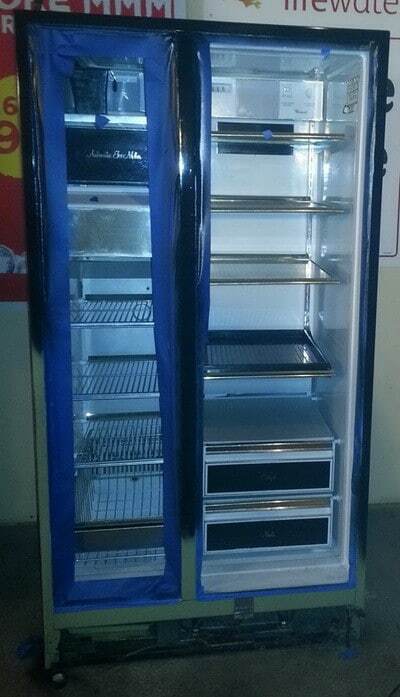 You will need to unplug your fridge and remove the food before you begin repainting. Before you begin, make sure to follow all safety precautions such as wearing protective equipment and painting only in a well ventilated area. 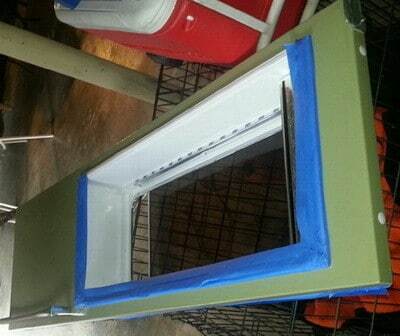 If you choose, you can lightly sand the fridge surface to get it better prepared for the new paint. Also, it is NOT necessary to remove the doors. Doing so will make the painting easier but the choice is yours. 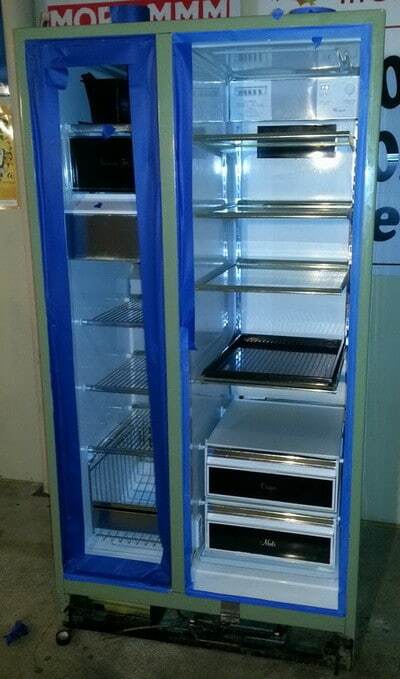 See the video at the bottom of this page for preparation tips before you paint your fridge. This DIY "Do it Yourself" website was created by maintenance professionals and home renovating experts. We produce weekly "How To" articles with detailed step by step instructions & illustrations about fixing, organizing, recycling, repairing, renovating, removing, replacing & more. Information contained within RemoveandReplace.com is researched and backed by experienced DIY technicians. We aim to always deliver relevant and engaging content where facts and information provided is checked and rechecked for accuracy. Note: Any images or third-party logos on this page belong to their respective copyright holders and are used for informational purposes only. Disclaimer: Posts on this website may contain references to products from one or more of our advertisers. We may receive compensation when you click on links to those products.